Fundraiser by Malu van Leeuwen : Paws & hooves - we need a roof! ZAASO (Zanzibar Animal Affection Society) is a donation based NGO founded, in 2009, by Anna van den Berg. Anna's immense love and compassion for animals was such that she decided to spend her inheritance to care for and support animals in need on the island of Zanzibar. Throughout the years the island has faced a significant raise of uncontrolled breeding within the cat and dog population and abusive treatment of donkeys and cattle; used for hard labor. With 2 million inhabitants and an unregistered number of animals, it seems almost beyond believable that there are only a few qualified veterinarians active on the island. 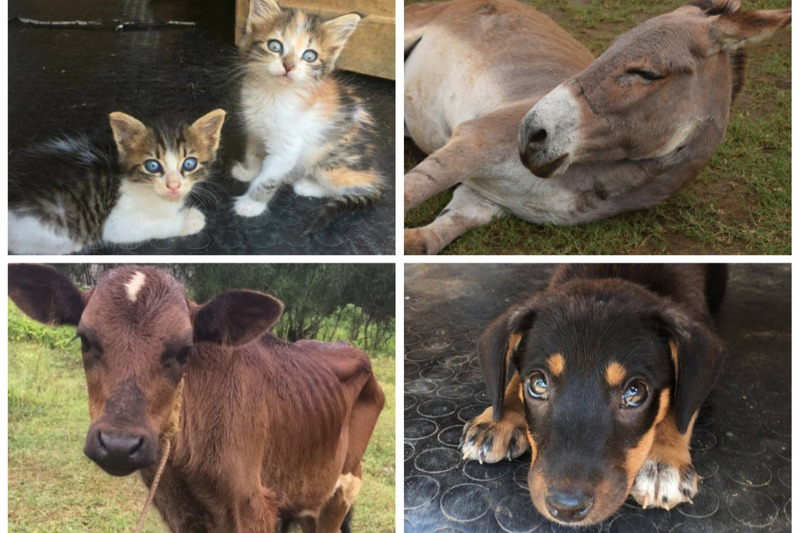 This makes it not only very difficult to care for the animals in need but also to educate the population on animal care and welfare or sustain effective anti-abuse programs. Anna and Dr Flavi, ZAASO’s dedicated vet, are doing the impossible and often free of charge. They run weekly sterilizations of stray cats and on Saturdays they open the doors of the clinic for free treatments for anyone who can make it to the premises with their animal. On a daily basis they not only take care of the numerous animals (dogs, cats, cows, horses and donkeys) living on the ZAASO farm but they also respond to home calls, visiting the villages around the island four days per week. They are literally always on the road and the phone never stops ringing. Ø After the last monsoon rains, and with years of wear and tear, the roof of the main building is about to collapse. A new roof is a true emergency at this point. Ø Dr Flavi is operating with basic instruments and the clinic needs more equipment: 4 surgical kits, an operating table, an X-Ray machine, interiors for the X-Ray room, and basic medication. As you can see, they manage with the minimum. So here we are, looking for your support for this noble cause! Help us help Anna, Dr Flavi and the Zanzibar animals in need! Looking forward to seeing your new home completed!